Explore Kenya on this 8-day tour across Samburu National Reserve, Mount Kenya National Park, Lake Nakuru & Masai Mara on a classic wildlife holiday. Sight the cheetah, lion, elephant, giraffe, buffalo and the famed flamingos in these parks! Your Kenya wildlife holiday starts on your arrival at Jomo Kenyatta International Airport, where you will be met by our representative and transferred to your hotel. You can spend the rest of the day at your leisure and relax. Nairobi is the capital and largest city of Kenya. The city and its surrounding area also form the Nairobi Province. The name "Nairobi" comes from the Maasai phrase Enkare Nyirobi, which translates to "the place of cool waters". Your day starts with an early breakfast, after which you will drive north of Nairobi up the Great Rift Valley to the Samburu/Buffalo Springs National Reserve arriving in time for a late lunch at the hotel. You will relax and enjoy your dinner at the lodge. 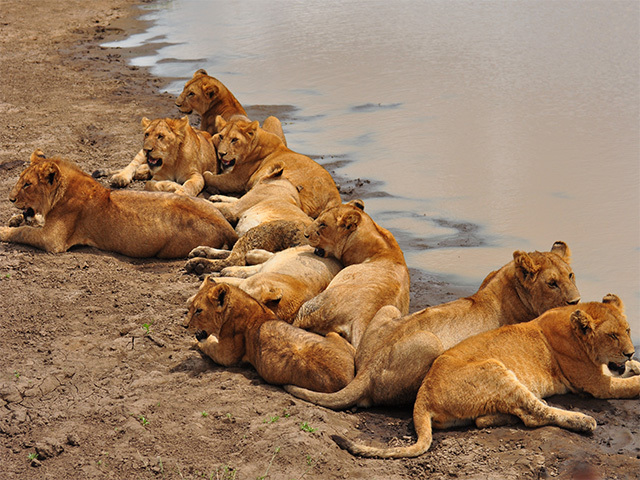 Today you will spend the entire day on safari in Samburu National Park, going on morning and afternoon game drives. 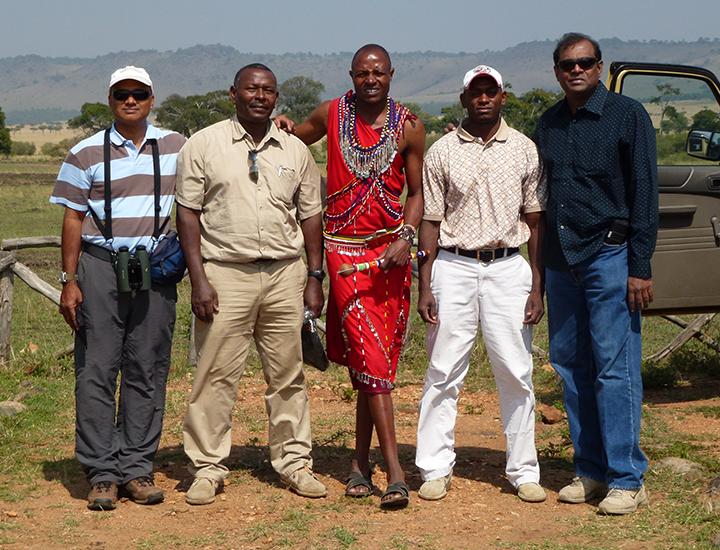 There is a wide variety of animal and bird life to be sighted at Samburu National Reserve. All three big cats, lion, cheetah and leopard, can be found here, as well as elephants, buffalos and hippos. Other mammals frequently seen in the park include gerenuk, grant's gazelle, kirk's dik-dik, impala, waterbuck, Grevy's zebra, beisa oryx and reticulated giraffe. Rhinos are no longer present in the park due to heavy poaching. There is a large variety of bird species as well. These include Somali ostrich, kingfisher, sunbird, bee-eater, marabou stork, tawny eagle, bateleur, Guinea fowl and vultures. In the evening after you return from the safari, you can opt for sundowners before dinner in the central dining room. Today you will go on to the next wildlife destination; you will leave the lodge after breakfast and travel south along the flanks of Mount Kenya to enter the Serena Mountain Lodge. One of the world’s highest National Parks, Mount Kenya is an extinct volcano some three and a half million years old. Straddling the equator, the mountain offers a unique mosaic of forest, moorland, rock and ice and is crowned by the glittering twin peaks of Batian (5,199 m) and Nelion (5,188 m). The sacred home of Ngai, God of the Kikuyu people, Mount Kenya is Kenya’s highest mountain, a national icon, a climbers’ Mecca, the nation’s namesake, a UNESCO Natural World Heritage site, and a wildlife stronghold. 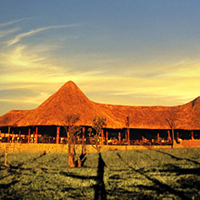 Today after breakfast you will drive south to Lake Nakuru National Park in time for a late lunch at Lake Nakuru Lodge. In the afternoon, on a Lake Nakuru safari, enjoy your first glimpse of the Lake’s fabled 1.2 million flamingos, perhaps find rhinos grazing on the lakeshore (this park is the nation’s largest rhino sanctuary), and arrive back at the Lodge in time for a swim and a sumptuous buffet supper. 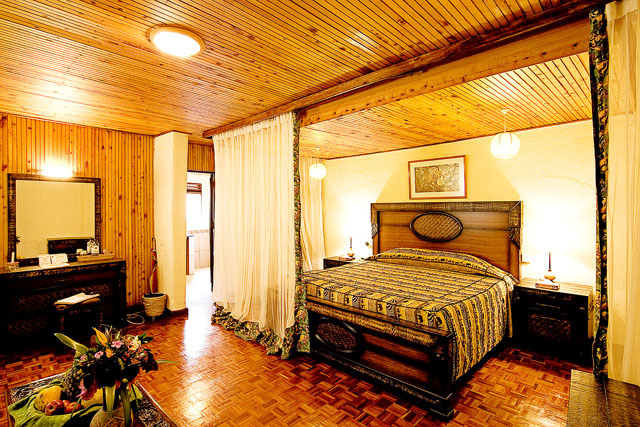 Today you will leave the lodge after breakfast, to continue up the floor of Rift to the famous Masai Mara National Reserve, and at the Mara Sopa Lodge in time for a late lunch. In the afternoon, enjoy your first game-drive in Masai Mara. World renowned for the breathtaking spectacle of ‘the greatest wildlife show on earth’, the awe inspiring annual migration of the wildebeest, the Mara is Kenya’s most visited protected area. Technically an extension of Tanzania’s renowned Serengeti National Park, the Mara constitutes only 4% of the entire Serengeti ecosystem but its rolling grasslands, meandering rivers and towering escarpments offer one of the world’s most rewarding and evocative wildlife arenas. Returning to the lodge, enjoy a swim; relax on your private veranda, enjoy sundowners at one of the lodge’s many bars and have dinner in the central restaurant. Today you will spend all day on safari in Masai Mara National Reserve with morning and afternoon game drives. When it comes to game-viewing, there is nowhere in Africa richer in wildlife or more eventful in encounters than the Mara. A pristine wilderness of haunting beauty, it promises its visitors a profusion of wildlife, prolific bird life and the unprecedented opportunity of catching up with all the members of the ‘Big Five’ in a day! After breakfast at the lodge, you will be driven to Nairobi and enjoy lunch at the world famous Carnivore Restaurant, rated among the top 500 restaurants in the world. You will be then transferred to the airport for your flight back home as your African wildlife holiday ends.